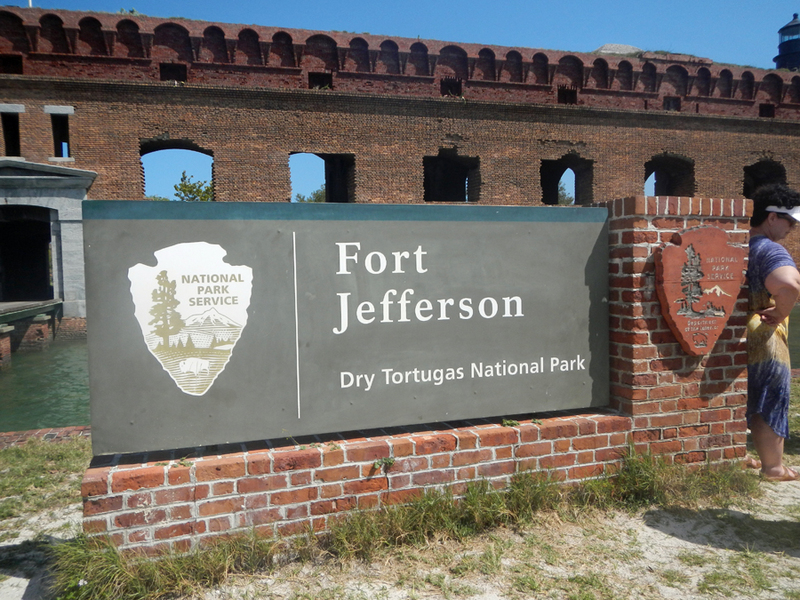 If you look at a map, about 70 miles west of Key West Florida, in the middle of nowhere, you will find The Dry Tortugas National Park. The park consists of 7 small islands and is the southernmost tip of South Florida’s coral reef tract. This represents the third-largest barrier reef system in the world spanning from Biscayne Bay to the Dry Tortugas (the largest is the Great Barrier Reef in Australia followed by Belize’s Barrier reef). The islands were discovered by Juan Ponce de Leon in 1513. He originally named the islands Las Tortugas for the abundance of turtles residing there. 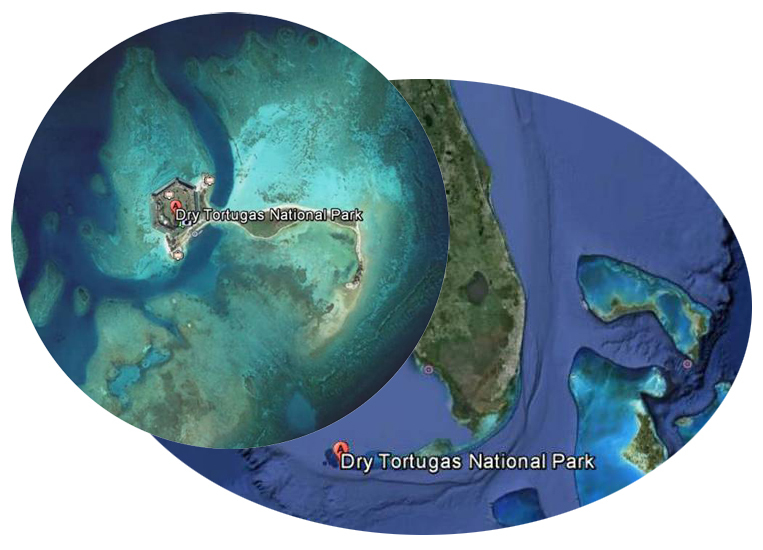 Charts later reflected the name Dry Tortugas to warn mariners no water was available. Once charted, they became of great importance to mariners. The islands offered two resources; a safe natural deep water harbor for ships seeking shelter and turtles. At the time, turtles were a favorite food of sailors. They are delicious to eat and can be kept alive for weeks on the deck of a boat by splashing them occasionally with salt water ensuring fresh meat for weeks aboard a ship. The isles remained under Spanish rule providing merchant ships a landmark into the Gulf of Mexico. 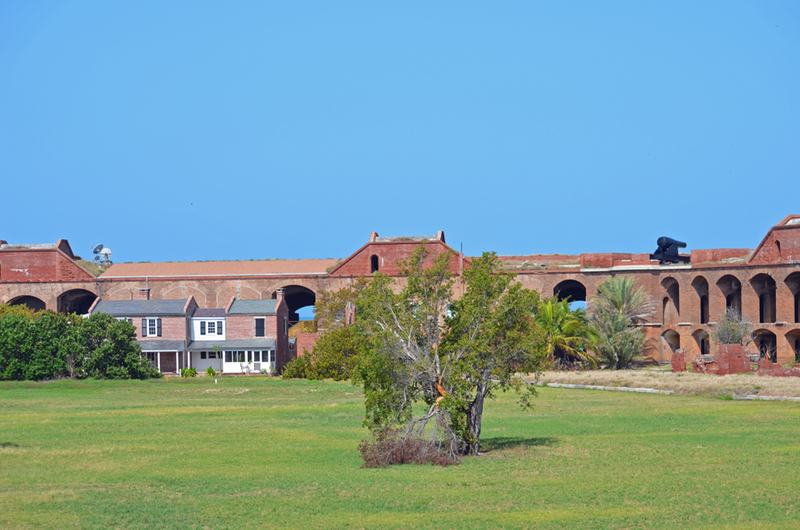 Once Florida was acquisitioned in 1822, the United States began planning the creation of a large fort in the Dry Tortugas. The United States believed the 75-mile-wide straits connecting the Gulf Coast and Atlantic Ocean were critical to protect as any forces who tried to occupy the area could gain control over Gulf Coast trading. 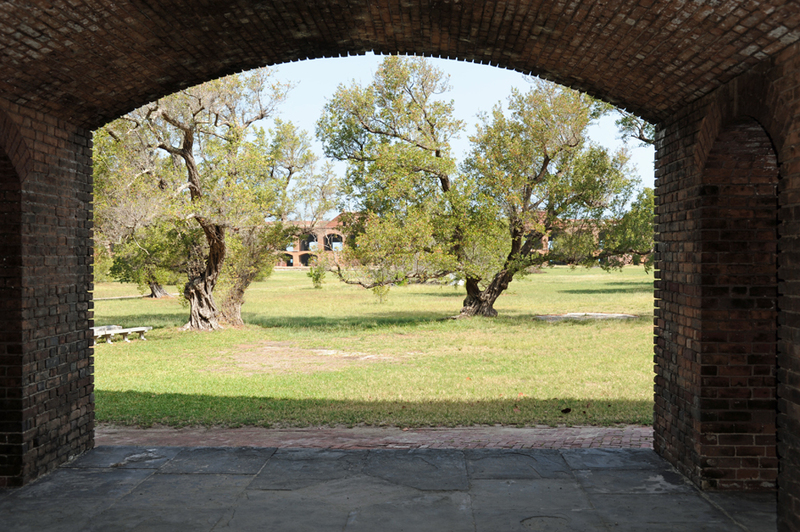 Extensive surveying and planning continued until construction of Fort Jefferson began in 1847 on Garden Key Island. 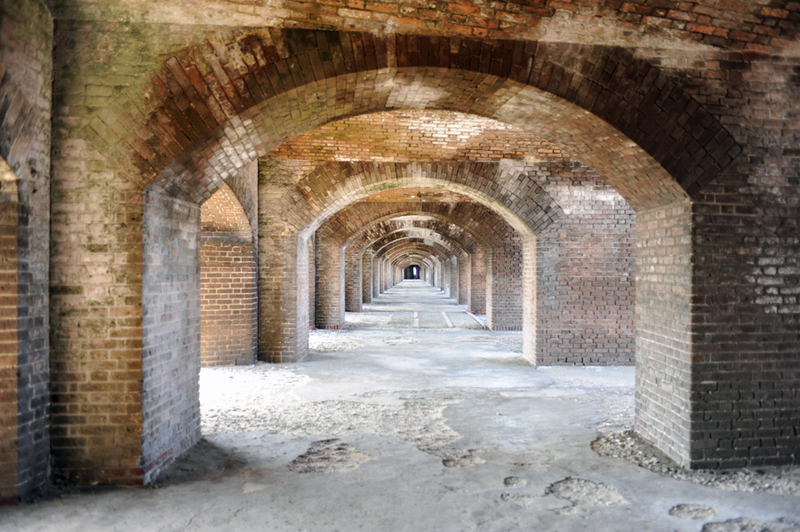 Although the fort was never fully finished, Fort Jefferson is one of the largest 19th century American masonry coastal forts. By 1860, over $250,000 had been spent and the fort was only halfway completed. Work continued during the Civil War but soon stopped after the war ended. 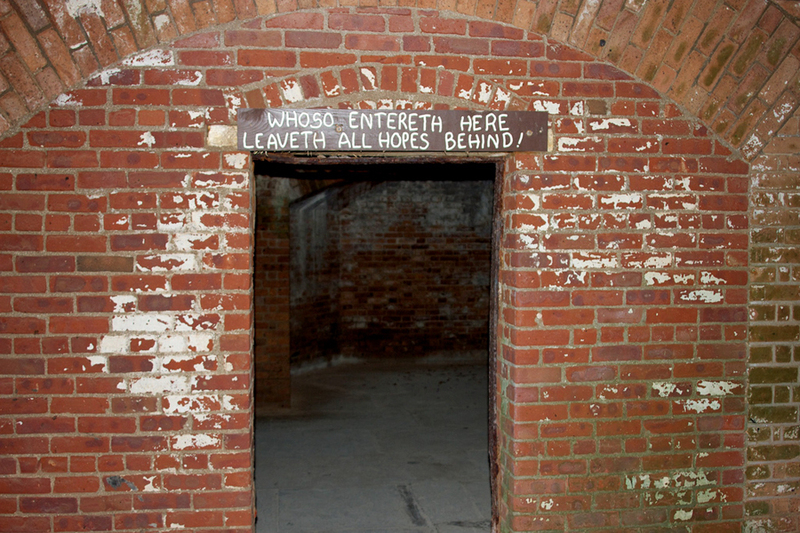 During the Civil War it was used as a military prison, and was used in this way until 1874. 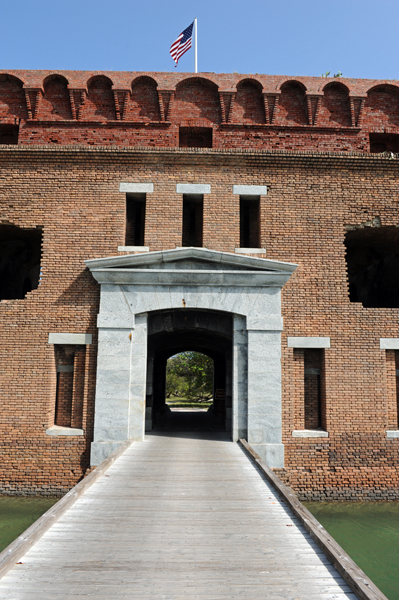 Over 16 million bricks were used in the fort’s construction. Everything had to be brought in by ship. Imagine that for just a second. Everything! The concrete, bricks, water, huge stone slabs for staircases and cannons had to be loaded on ships and sailed 500 miles from Pensacola to the Dry Tortugas where the construction materials were offloaded into smaller dinghies and rowed ashore. 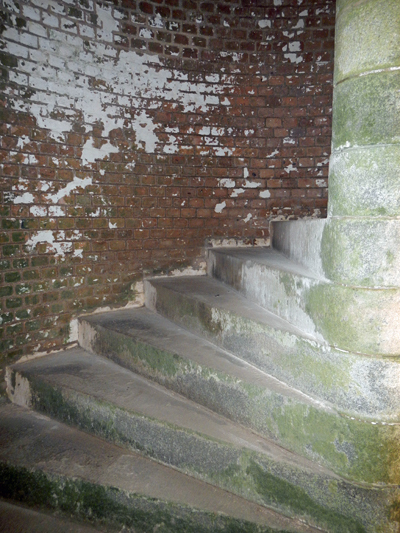 The darker upper brick of the fort’s third tier are bricks made in Boston. The fort remained under union control during the US Civil War as construction continued. However, the materials now had to be shipped from the upper east coast making the progress harder and slower. The design of the fort allows for defense from all sides. At any approach around the fort, 125 cannons can point at a single target. The cannons had a range of about 3 miles and could reload in about a minute. An attacking ship would find themselves with 125 cannon balls a minute raining down upon them. The cannon balls weighed about 300 pounds and were launched with such thrust they were capable of piercing even iron clad armor of war ships. The outer walls of the fort are 8 feet thick. This made the fort virtually impenetrable by ship cannon fire since it would take about 50 shots to the same part of the wall to make a hole; from a moving ship with limited cannons, an impossibility. The mere power of the fort served as a deterrent and was never attacked making it the thermal nuclear weapon of it time. For the 1800’s this was the ultimate defense technology in practice. Despite over 30 years of construction, the fort was never truly completed. Advances in weapon technology made the fort obsolete by 1862. 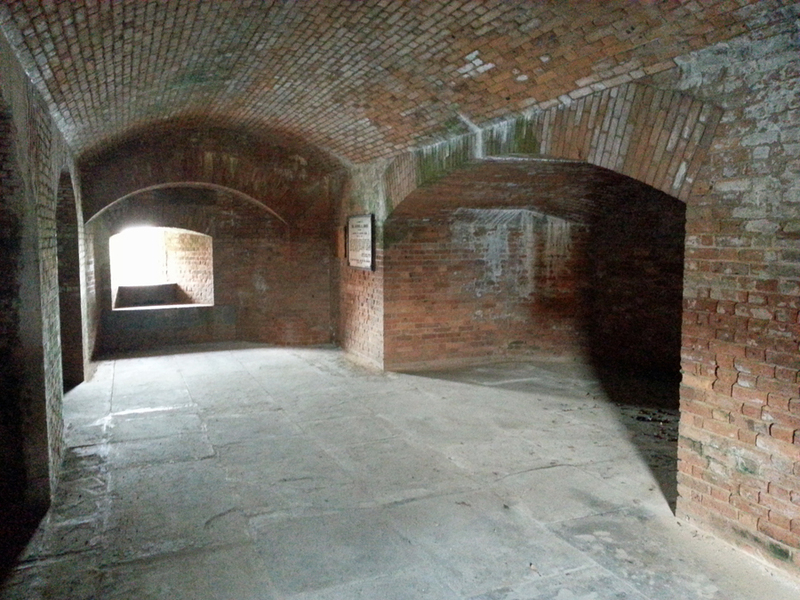 Fort Jefferson served for a time as a remote prison facility. One of its most famous inmates was Dr. Samuel Mudd, who set the leg of John Wilkes Booth following the assassination of President Lincoln. 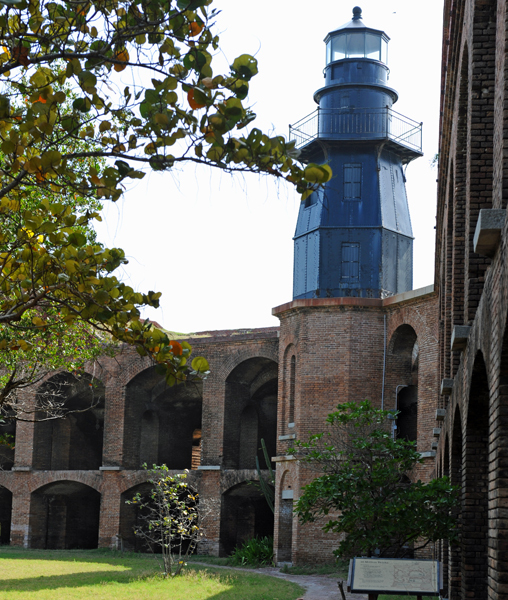 Mudd was incarcerated on the Dry Tortugas for four years, from 1865 to 1869. He was released on March 11th, 1869 following a pardon from President Andrew Johnson in part because of his work and research with yellow fever. Yellow fever outbreaks were a common occurrence at the fort and killed many of the guards and medical staff as well as prisoners. 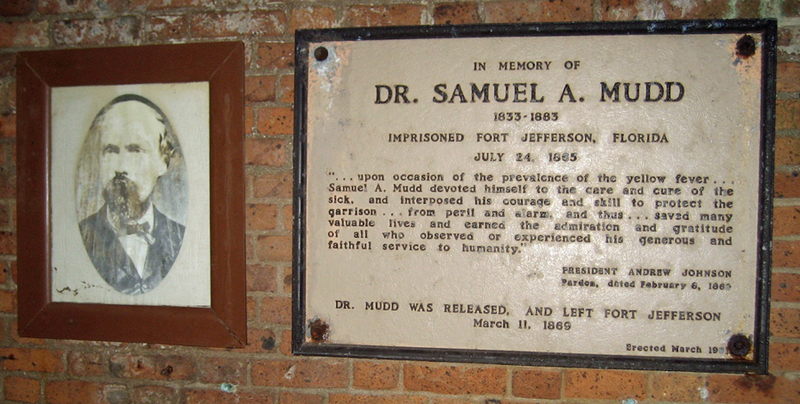 The saying, “Your name is Mudd” is attributed to the distrust of Samuel Mudd for his unbeknown role in the treatment of a criminal. Regardless of the Presidential pardon, the saying stuck.